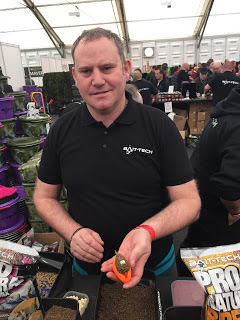 At The Big One, along with ‘The Juice’ the other new Bait-Tech product that stood out was the Sticky Method Pellets, Dean Barlow gave us a little demo and yes, they looked fantastic for fishing the method, something I just don’t do but the more I spoke to Dean, the more I began to realise that confining their use to just fishing the method feeder was doing this great new product an injustice! 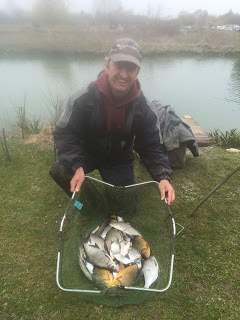 Once prepared (simplicity itself but more of that later), they can be used for fishing the method but they can also formed into balls and cupped or thrown in or you could even use a groundbait punch to give you uniformly sized nuggets of pellets that can be fed via a toss pot. 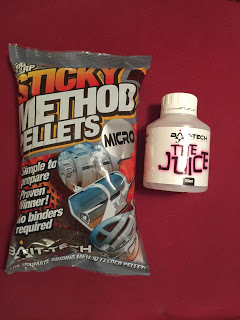 As I said earlier, preparing the pellets is so easy, even I could do it! 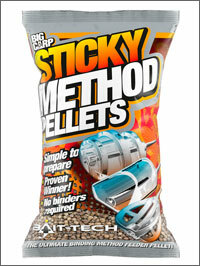 You simply pour the required amount into a bait box, cover with water for two minutes, drain it off and let them stand for ten minutes and there you have it, perfect Sticky Pellets, ready to go! 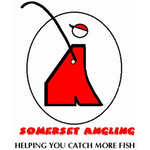 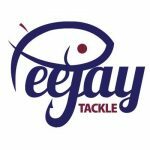 Coming soon – Look out for my reviews of ‘The Juice’ and Ringers Spring Loaded Bait Punches coming soon.